33. 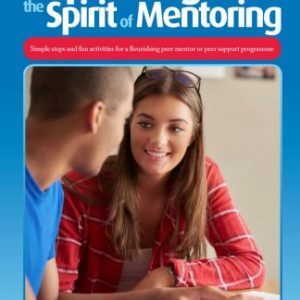 Australia waking up to the importance of mentoring? During the past weekend, new Prime Minister, Kevin Rudd, has held a 2020 Summit attended by 1000 delegates from around Australia. The purpose was to put on the table some Big Ideas for the future development of Australia. As with all such summits, there was criticism of the selection of the delegates, not a true representation of the Australian population, Kevin Rudd wanting to be photographed with the Who’s Who of Australia, predictable ideas being placed on the table, many of which were Labour Party thoughts anyway, too much time listening to politicians stroking their own egos and so on. From the reports I have read, I was amazed there was not more of a focus on the education of our young people. There are serious issues in a society when one is constantly hearing about the teenage binge drinking, more and more abuse of drugs, increasingly violent and antisocial behaviour of too many of our young people, a lack of respect for authority figures and so much more. The family unit is disintegrating more and more and we have to listen to the vocal few, who receive far too much media coverage in my opinion, championing everything BUT what global research seems to suggest is the key to a strong, prosperous, stable society ie, the nuclear family. Indeed, last week there was even a suggestion that schools no longer be allowed to use the word ‘mum’ and ‘dad’ … thankfully, quickly shot down, though where will this end, I wonder? Anyway, it seemed as if much of this was ignored by the Big Ideas people, though I hope I am incorrect. 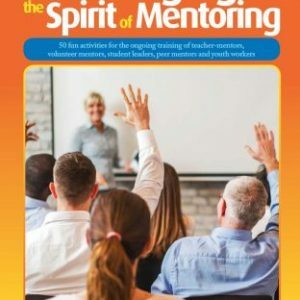 Coming out of the summit were quite a few references to mentoring programs. While sometimes the word was incorrectly used, at other times it was positively suggested and that is encouraging. It will be interesting to see whether anything comes out of this, once again because the government will be wanting quick-fix solutions to win votes for the next election. That’s not a cynical statement, but a true one, which is a sad reflection of society in a way. Are we all falling into the instant gratification syndrome, I am wondering more and more? I was conducting a Career Transition Survey pilot in one of our local schools towards the end of last term. The idea behind this survey, to be completed by 13 to 19-year old students, is to find out what they are thinking about their futures, whether or not they have a career path, know where to look for information, are being hindered by a variety of personal or family matters etc. I decided to throw in a question asking whether or not these young people would like a non-judgmental person to move alongside them and meet at the school for one hour a week for six months to talk about careers etc. ie, what GR8 MATES is trying to achieve. 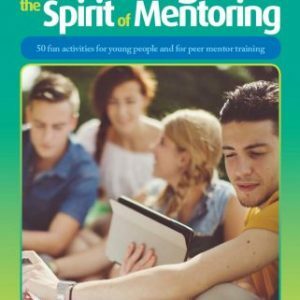 54 of the 69 students who completed the survey, most of whom were 15 to 17 years of age, said they would like a mentor. I am now keen to run this survey in more schools to see if there are more students feeling like this. If so, it will be a very powerful message about mentoring to take to the government at Federal and State level.